Once upon a time there was the gentlemanly sport of cycling. Since time immemorial riders have battled across the Alps, Pyrenees, Dolomites, and other not-so-flat and flat cobblestoned landscapes of Europe (and other regions) in races for weeks-on-end or for ridiculously fast and long one-day races. Then in 1995 the sport entered what many consider the Dark Age of Cycling. Thereabouts the anemia drug, EPO, and other performance-enhancing drugs were introduced to the sport, which was thereafter dramatically changed by the involved riders, managers and teams, and perhaps (time will tell) with the knowledge of race-organizers and the professional cycling governing bodies themselves. And perhaps also with the wink-wink-nudge-nudge of their sponsors, who desperately wanted to see their logos emblazoned across the (oft-skeletal) bodies of their winning riders. All in the name of “winning.” And now most in cycling are left losers. 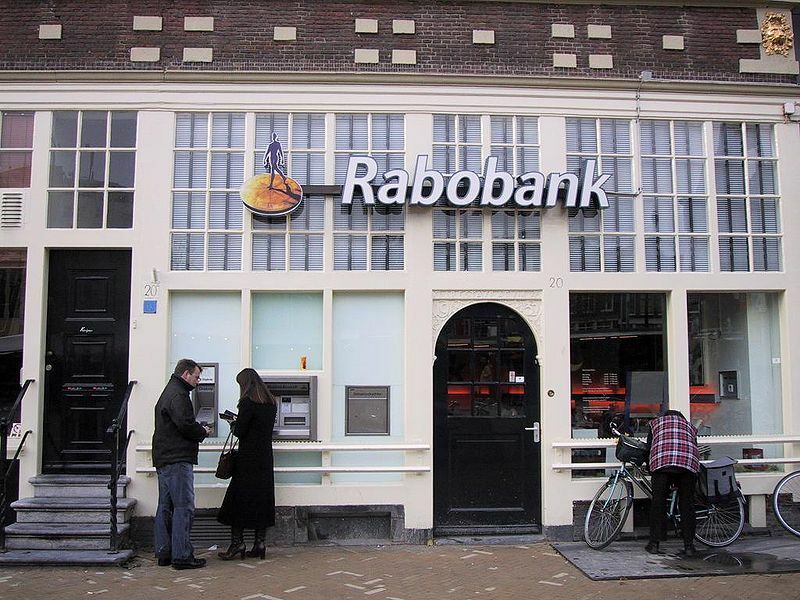 Dutch financial behemoth Rabobank entered as a sponsor of a professional cycling team in 1996 (huh, go figure). Following the recent allegations made public by the anti-doping organizations United States Anti-Doping Agencey (USADA) and WADA and their actions taken against Lance Armstrong (and virtually the entire sport), in a classic we-was-robbed (so to speak) move, Rabobank declared it was ending its sponsorship of its professional cycling team. Following Rabobank’s announcement, pro-cyclist David Millar and others were quick to chastise Rabobank for happily being a sponsor during the “dirty era” (in which Rabobank riders were repeatedly busted for doping), but then pulling out of cycling when the sport is arguably its cleanest since 1995 and is likely headed into an even-cleaner era following the Armstrong revelations. Millar first Tweeted the following: “Dear Rabobank, you were part of the problem. How dare you walk away from your young clean guys who are part of the solution. Sickening.” He then followed up with a less-hyperbolic, but still-pointed, letter to Rabobank, which you can read HERE. We couldn’t agree more. Warning: tenuous and tawdry tie-in between Rabobank and singer Jason Collett’s song entering stage right. For some reason Rabobank’s bailing on cycling was on our minds this morning when we happened to be listening to under-appreciated singer-songwriter Jason Collett’s fantastic new album Reckon. And so when Collett’s telling, reggae-riff song I Wanna Rob a Bank came blazing into our ears it provided the perfect soundtrack to our thoughts regarding the bank. A good part of Reckon voices the feelings of those that have lost jobs or homes over the last few years during the economic crisis, but doesn’t lash out at some of the causes of the crisis until I Wanna Rob A Bank comes on. And then we hear the song’s narrator segueing from his inner despair into outbound rage. 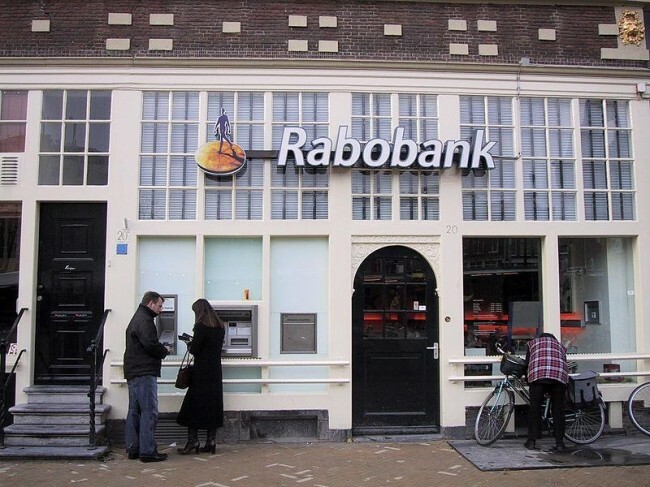 While we would never condone robbing a bank, the crassness of Rabobank’s pull-out (sponsorus interruptus) from cycling had us thinking (only figuratively) about the prospect voiced in the song. And who knows, in the context of professional cycling the song title could be interpreted merely as a call for Rabobank to return as a sponsor (I Want a Rabobank). Yeah right. Jason Collett is yet another former Broken Social Scene member (along with Feist, Emily Haines of Metric and Amy Millan of Stars, amongst others) who’s made good. On his new album Reckon, Collett again writes masterful melodic pop-folk songs in a wide range of styles that always resonate lyrically. We’ll write more about Collett and Reckon soon (suffice it to say it’s one of our Best Albums of 2012). In the meantime, check out (and download) I Wanna Rob a Bank below. We hold Canadian band Stars in the highest of regard. If you don’t know them, and if you merely glance at the band or quickly skip through their tracks, you might not “get” them (or you may have forgotten them in the ongoing quest for “the new”–similarly, see our Pinback post below). If so, you would be making a colossal mistake. If you instead dive in and let Stars’ songs wash over you, you will be repeatedly rewarded by the band’s craft and intelligence. Their songs are consistently as good, if not better, than U2, Coldplay, or pick-a-band, and yet they toil in comparative obscurity south of the Canadian border. 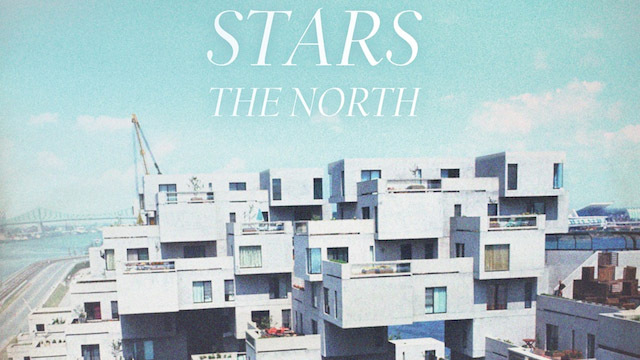 Their latest album, The North, is another superb collection of heady, emotional and melodic songs that deserves a far wider audience (you can stream it at their Soundcloud site at bottom). Do yourselves a favor and check them out (or again). They continue to operate in a higher realm. To get a better feel (and despite the sterile visual surroundings) check out the band’s stellar harmonies and deft instrumental acumen on well-crafted songs The North, A Song is a Weapon and Backlines, all as performed for KINK Radio at the Bing Lounge. And if you want more, you can check out their recent KCRW session HERE. So very, very good. We scraped the digits off of Pinback’s first couple albums, and especially Summer in Abaddon. We’ve forever loved their lock-stop, pristine and elliptical guitar and bass interplay, melodic and deceptively-serene sounds, and vocals and lyrics that always insinuate themselves into our hearts and minds. After a five-year hiatus, the band (guitarist Rob Crow and bassist Zack Smith, with drummer Chris Prescott) is back with a new album entitled Information Retrieved. Pinback appeared on WNYC’s Soundcheck this week to perform three songs off the new album. And they pull it off with perfect Pinback aplomb. Check out a video of the band performing the mesmerizing song Proceed to Memory on Soundcheck. You can listen to the entire Soundcheck session below the video or go HERE. After, check out their official video for song Sherman off the new album. And don’t forget: Water! Fire! Rain! Inhale! The Best of 2012 lists are starting to fall from the sky like rain. Hard rain. While many leave us scratching our heads, these lists can serve to unearth new bands that you had not previously heard. Such is the case with young London-based band Palma Violets, who are being touted by quite a few in the British media (NME, etc.). We like what we’ve seen and heard so far. Check out the band’s official videos for their songs Best of Friends and Last of the Summer Wine below off of their impending first album on Rough Trade. After, check out their performance of Best of Friends on Later with Jools Holland. As Gothamist originally pointed out, a fan-made, two-hour video of Radiohead’s Roseland Ballroom show in September has been created by a collective of Radiohead fans, who have dedicated the project to deceased Radiohead crewmember Scott Johnson. The video has apparently been blessed by the band, who provided high-quality, soundboard audio. The setlist follows the concert video below. Bravo! New(ish) Brooklyn band Oberhofer is winning over audiences and critics alike. Check out below the band performing their rending song Heart off of their 2012 album Time Capules II below for Out of Town Films. More glockenspiel! While we’re getting all world-music, check out the new official video from Nigerian-German (how’s that for mixing your motherland metaphors?) Nneka for her song Valley (off of her third album, Soul is Heavy, released earlier this year). As we have written before, Nneka is sweet music to our ears. Puerto Rico band Calle 13 recently appeared on our radar screen, and we of the Calle (Granada) are now deeply engrossed in the band and their innovative/moving videos and songs. We admit that our allegiance to lyrics (in our native English) and their emotional sway has caused us to frequently skip over wide swaths of music primarily because we did not comprehend and appreciate the featured foreign tongue (mais, pas la langue Francaise). Shame on us. In the case of Calle 13, with the aid of their powerful videos and songs, we now completely comprehend their messages and the weight of their songs. We were introduced to Calle 13 initially via their harrowing, UNICEF-endorsed video (immediately below) for their song La Bala (The Bullet). The song speaks specifically to violence in Latin America, but the video follows an invisible bullet that shatters lives not just in Latin America, but around the world. Through this song, the band’s René Pérez Joglar (aka Residente) and Eduardo Cabra Martínez (aka Visitante) argue against the heart-rending violence that surrounds them. The band has said this: “La Bala has stopped being a song within our musical production to become an instrument against violence and the use of firearms around the world,” said Visitante. ”This is a battle for peace, and throughout history, music has been a fundamental element that sways the emotions of those who can identify with the message. We trust the music, once again, will help to achieve such an important goal for all humanity”. Hear, hear! The video supports with vignettes of devastation from around the world. Check out La Bala below, followed by the bilingual lyrics, and then followed by a few more superb videos/song-gems from Calle 13. 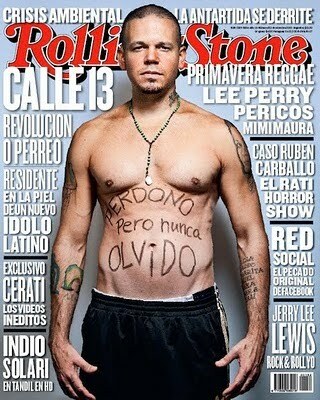 Make no mistake: Calle 13 are seriously serious. But as you will see it’s not all heaviness and political as you will see. If you want to hear more in the genre, or be better tuned in to the alternative Latin scene, check out NPR’s Alt-Latino program HERE. “El martillo impacta la aguja. Sale la bala arrojada fuera del cañón. The hammer hits the needle. Out comes the bullet shot out of the canon. Va tranquila, la bala no tiene sentimientos. La bala va diciéndolo todo sin hablar. It goes calmly; the bullet has no feelings. The bullet says everything without speaking. Por eso tiene llena de plomo su panza. Y más cuando el camino se lo traza un infrarojo. 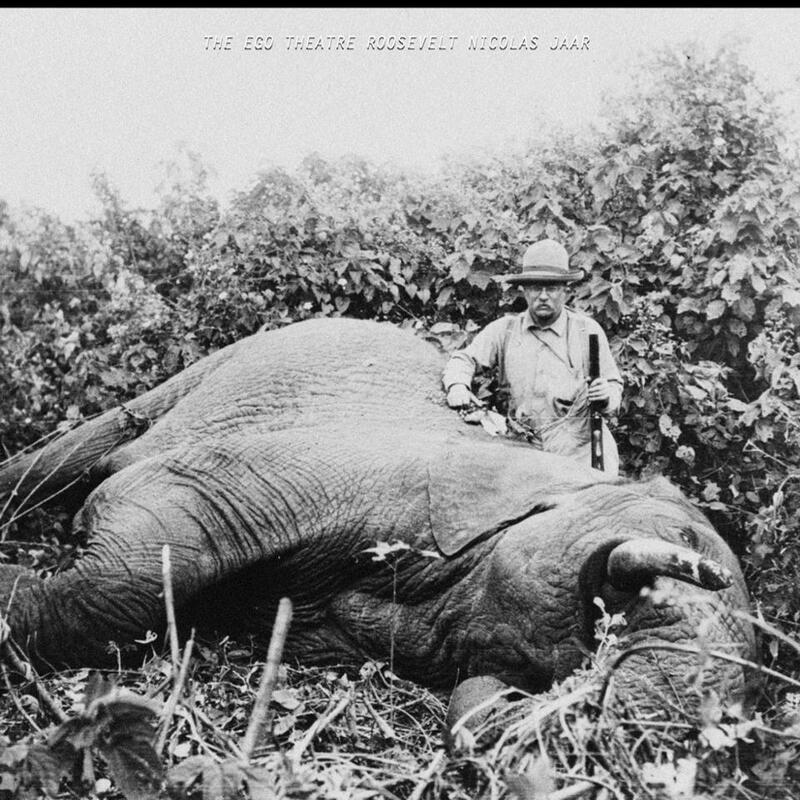 That’s why it has its belly filled with lead. Especially when its path is traced by infrared. La bala nunca se da por vencida. Si no mata hoy, por lo menos deja una herida. If it does not kill today, at least it leaves behind a wound. It obeys its master just once in its life. Hay poco dinero, pero hay muchas balas. Hay poca comida, pero hay muchas balas. Hay poco gente buena, por eso hay muchas balas. Cuida’o que ahí viene una. (Pla! Pla! Pla! Pla! )There is little money, but there are many bullets. There is little food, but there are many bullets. There are few good people, that’s why there are so many bullets. El sonido la persigue, pero no la alcanza. Sound pursues it, but does not reach it. El pecho a las arterias para causar hemorragia. The chest toward the arteries to cause hemorrhage. Vivid red color, exits through the cranium. Para ser un mercenario, habría que ser millonario. If every bullet cost what a yacht costs. To be a mercenary, you would have to be a millionaire. Hay poca educación; hay muchos cartuchos. Bullets are as cheap as condoms. There is little education; there are many cartridges. When there is little reading, there is a lot of shooting. El rico da la orden y el pobre la dispara. No se necesitan balas para probar un punto. Es lógico, no se puede hablar con un difunto. The rich man gives the order and the poor execute it. One does not need bullets to prove a point. It makes sense, one cannot speak with the deceased. El diálogo destruye cualquier situación macabra. Antes de usar balas, disparo con palabras. Dialogue destroys any macabre situation. Before using bullets, I shoot words. Chilean Nicolas Jaar is amongst our favorite mischievous mood-masters. The electronica/dubstep/dance guru has killed it repeatedly in song, and his 2011 album Space is Only Noise was amongst our favorites of that year. Over the Thanksgiving holiday Jaar and “Theater Roosevelt” released a new track entitled The Ego that is guaranteed to get you movin’ like Teddy (huh?). Enjoy the Jamaican-accented call to “a-let Detroit go bankrupt.” Check it out below. Following up on their critically-acclaimed and popular first album, Gorilla Manor, LA’s Local Natives will release their second album, Hummingbird, in January. We are fans of the band (read more HERE) and are anxious to hear the new album in its entirety. Check out below the official video for the lead song off the album, Breakers.